Conservation Voters New Mexico Action Fund is proud to endorse Garrett VeneKlasen to be the next Commissioner of Public Lands. The Commissioner of Public Lands, commonly referred to as State Land Commissioner, is charged with generating and optimizing revenue from state trust lands to support public education and other beneficiary institutions, while simultaneously striving to protect, conserve and maintain the lands so they may be used by future generations. The New Mexico State Land Office manages millions of acres of land across the state for the benefit of our schools, universities, hospitals and other important public institutions. This means the Commissioner of Public Lands has an enormous responsibility to manage our public land in a conscientious and sustainable way. The State Land Office is one of the largest land managers in the West and does so with virtually unfettered discretion. Few agencies are able to act as nimbly and autonomously when it comes to supporting pro- or anti-conservation policies, so it’s particularly vital to ensure that a pro-conservation voice occupies the State Land Office. Mr. VeneKlasen is the clear pro-conservation voice New Mexico needs leading this critical agency. At CVNM Action Fund, with every endorsement we make, we go through a thorough evaluation process and give each candidate the same opportunities to answer our confidential questionnaire and meet with us in person to discuss their strengths, weaknesses and views on key conservation issues. From this detailed evaluation, we make our choice. And through this process, Mr. VeneKlasen was the clear choice to lead the State Land Office. While there are multiple candidates in the race with a strong conservation record, Mr. VeneKlasen stood out as the sole candidate running on an environmental platform with outstanding experience and vision New Mexico’s State Land Office needs. 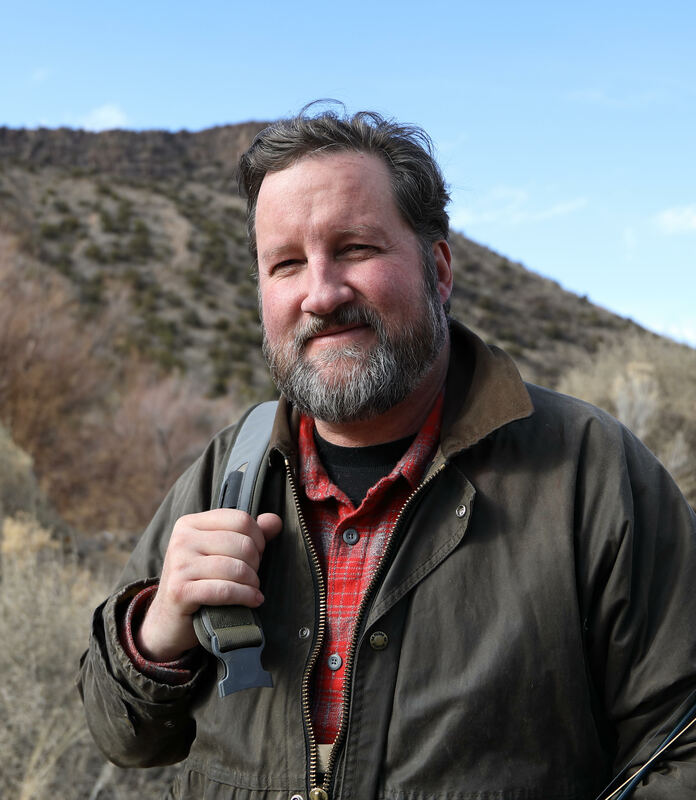 VeneKlasen’s passion for the State Land Office stems from his career exploring and conserving New Mexico’s state trust and national public lands. He spent most of his career as the owner of a small travel company, helping people explore public lands around the world. Before becoming the executive director of the New Mexico Wildlife Federation, he was the southwest director of the Trout Unlimited Sportsmen’s Conservation Project as well as Trout Unlimited’s New Mexico Public Lands Coordinator. VeneKlasen was born and raised in New Mexico and spent much of his childhood hiking, camping, fishing, hunting and exploring our vast public lands. His lifelong experiences on public lands molded him and truly define the core of his character. In Mr. VeneKlasen, New Mexico finds a rare candidate who is both the best prepared to do the job on day one and is also the strongest on environmental issues. VeneKlasen has extensive knowledge of the intricacies of the work done by the State Land Office. He has been an advocate for our public lands and access to those lands for much of his career. VeneKlasen will take a comprehensive approach to managing our state’s public lands to both benefit our schools and ensure our state lands are protected for future generations. The State Land Office is a large and complicated agency. Mr. VeneKlasen has experience managing staff and budgets that will help him lead the State Land Office. VeneKlasen understands that the multiple use mandate of state trust lands should include more than just extractive industries and include things like renewable energy generation and transmission as well as recreational access and ecotourism. VeneKlasen helped spearhead the campaign to designate the Rio Grande del Norte National Monument in northern New Mexico. This new monument has brought increased visibility to an area faced with the loss of mining jobs, allowing communities to market themselves as recreational destinations. VeneKlasen went to Malheur National Wildlife Refuge in Oregon as a spokesperson for the protection of public lands during its occupation by armed anti-public land militia members in January 2016. VeneKlasen wants to make sure New Mexicans have access to state trust lands for recreational uses. Right now, the process of accessing our lands is confusing and cumbersome. VeneKlasen is fluent in Spanish which will help him make the State Land Office more accessible and transparent to all New Mexico residents. VeneKlasen understands that the state’s nine million acres of surface trust land can play an integral role in helping New Mexico reach its goal of 50% renewable energy by 2030. VeneKlasen is also committed to advocating in the legislature for an even stronger Renewable Portfolio Standard, aiming for 100% of our state’s energy needs. The State Land Office currently makes important decisions about the use of our state trust lands with little to no public participation. Mr. VeneKlasen is committed to bringing transparency and openness to the decision-making processes at the State Land office, including posting the Land Office’s work and decision-making process on the website. VeneKlasen would opt the State Land Office into the State Administrative Procedures Act in order to require public input and accountability. New Mexico has a problem with natural gas waste in its oil and gas production on public lands. NASA found the most concentrated methane cloud in the U.S. hovering over the San Juan Basin. Methane is the main component of natural gas, and a potent greenhouse gas. More than $100 million-worth of natural gas and millions more in state tax revenue is lost through venting, flaring and leaks from oil and gas operations on New Mexico’s federal and tribal lands alone each year. By allowing companies not to capture this waste, the state is deprived of millions of dollars in potential revenue that could be invested in education and help strengthen our long-term state budget needs. In addition, methane waste is a huge contributor to climate change and has significant negative impacts on the health of those living, working and going to school near oil and gas sites. VeneKlasen supports strategies to ensure this natural gas waste is captured and New Mexicans receive the fair market value to help fund our schools and other public institutions as we tackle climate change and create healthier communities. VeneKlasen has already worked to identify a mosaic of “heirloom” state trust lands that are ideal for outdoor recreation and ecotourism development. He is looking at locations such as White Peak, the Luera Mountains, Sierra Grande, select lands in the Bootheel, and lands like the state trust land tract near to Clovis – which has the greatest warbler diversity in the United States – to be managed and marketed specifically for recreation, cultural and wildlife values. We’re ready to take bold action to elect pro-conservation champions all across the state. Are you in? Across the state, Conservation Voters like you will have the chance to elect conservation champions like Garrett VeneKlasen up and down the ballot in 2018. Chip in today to CVNM Action Fund to help us make sure they win. One hundred percent of the proceeds will go to supporting the campaigns of CVNM Action Fund’s slate of endorsed candidates.